I really like To Pimp a Butterfly. It’s hard not to like Kendrick Lamar right now, good kid, m.A.A.d city was a classic and his work since then has been exceptional. While not quite the masterpiece that his previous album was, To Pimp a Butterfly can at least raise the question when it comes to sheer quality and most certainly surpasses its predecessor in innovation. That’s part of what made the album so hard to evaluate. There is no doubt that this is a challenging album. It bends genre incessantly, “These Walls” could have come off a Prince album and “For Free” is more slam poetry than hip-hop. A jazz band backs the entire production. Yet, despite those things, this is a hip-hop album through and through. Songs like “King Kunta” or “The Blacker the Berry” are fire for even the most die-hard rap purist. It challenges the listener with content as well though. 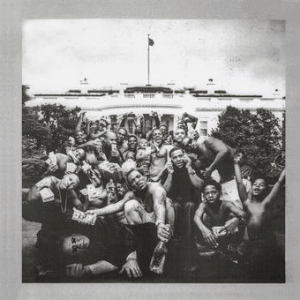 The entire album has a running storyline of temptations from Lucifer and tests from God with Kendrick as a messiah. “u” tears deep into Kendrick showing him holding himself responsible for his failings and tears into the listener as a result. “Mortal Man” questions the listener’s dedication to him, but comes off as self-doubting instead of accusatory. For all of the lows though, there’s the positivity of songs like “i” and “Complexion (A Zulu Love)” both of which break up the intensity of the album very nicely while also just being very good music. To Pimp a Butterfly is very simply what you should be listening to right now and what you will be listening to for a long time.